Alexandria, KY Dentist. World Class Smiles! When you visit our office in Alexandria, your smile is our top priority. 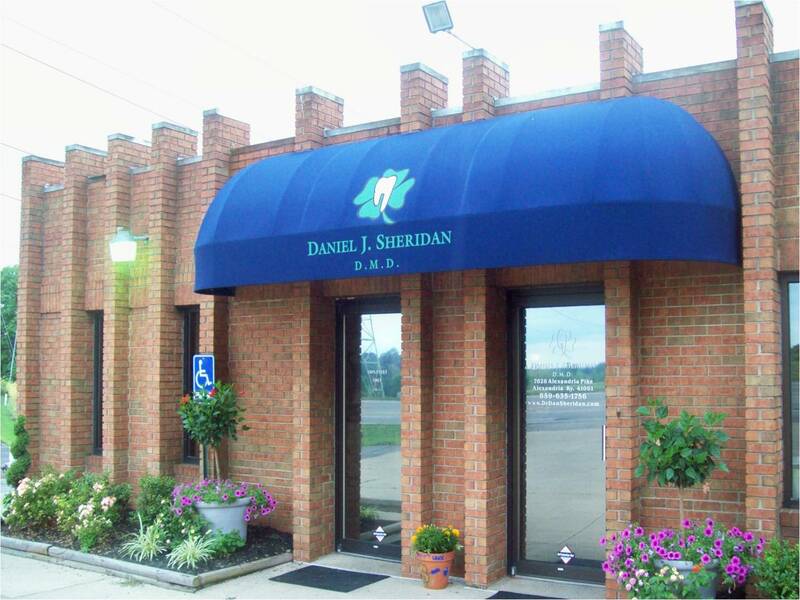 Dr. Sheridan and his entire team are dedicated to providing you with the personalized, gentle care that you deserve. WE HAVE A NEW FEATURE FOR YOUR CONVENIENCE!! To schedule your next hygiene appointment with Colleen, Amy or Lauren, you may click the button below to view, search, and request an appointment time that fits your schedule. Porcelain Veneers- Veneers can completely reshape your teeth and smile. They can often be alternatives to crowns and the ideal solution in treating many dental conditions. Teeth Whitening - Whiter teeth in two easy visits. For the beautiful smile that you deserve, contact us to schedule an appointment. Alexandria Dentist, Dr. Daniel Sheridan is a professional dedicated to Excellence in General, Family, & Cosmetic Dentistry such as Cleanings & Prevention, Restorations, Periodontal Disease & many other dental procedures. Please come and visit Alexandria Dentist, Dr. Daniel Sheridan.